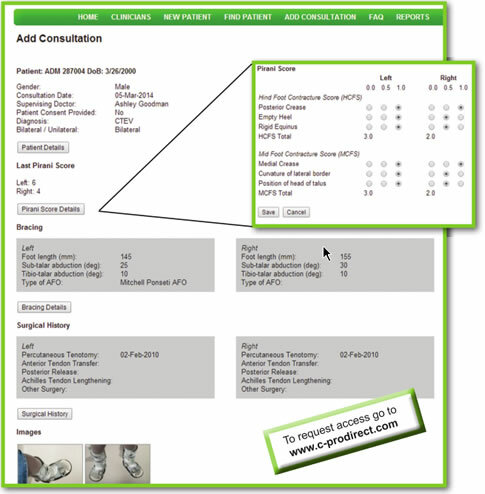 The Clubfoot Database is a cloud-based computer application that records and tracks patient progress. The database has been designed with input from experienced practitioners and enables efficient capture of complete clubfoot treatment records. Data can be input and accessed from anywhere in the world with an internet connection. Access to the Clubfoot Database is subject to the Clubfoot Database Software Licence Agreement.